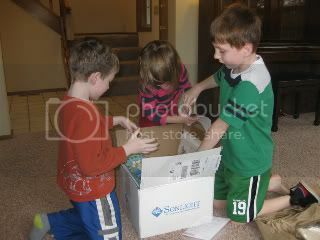 SonlightBlog.com: We Love Box Day at Our House! We Love Box Day at Our House! We had an extra special surprise this Box Day. 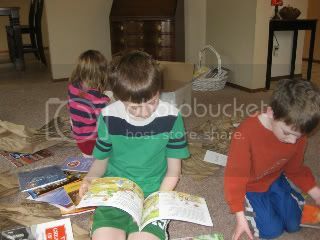 My son, age 7, received his Grade 3 Readers with Core B. The next day I found him for the first time on his stomach for an hour reading a chapter book! Thank you Sonlight! This is our fourth Core with Sonlight and my son really has learned to read, love books, and to love Jesus.